It seems like Valve is not done yet when it comes to Linux and gaming. According to this recent blog post by Valve's own Rich Geldreich, they are actively working on an OpenGL debugger aimed at Linux game developers which will also be open source. OpenGL debugging has always lagged behind DirectX, mainly because of the excellent graphics debugging tools shipped with Visual Studio. But all that might change very soon with Valve's active interest in the development of an alternative OpenGL debugger called VOGL. The entire code for VOGL is written and tested on Linux, on Kubuntu 13.10, Ubuntu 12.04 and Linux Mint to be exact. 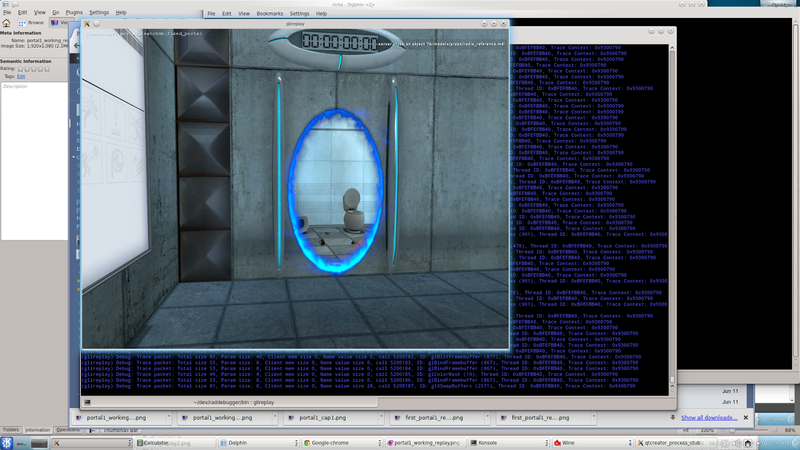 Valve's VOGL debugger was shown off at the Steam Dev Days conference held on 15th of this month at Seattle. And the debugger will be open source. According to Rich Geldreich, "We're going completely open source - GL is just too large of an API (and changing too quickly) for a small team to keep up. We'll be putting it up on bitbucket (or maybe github - we haven't decided for sure yet). We'll accept patches, bug reports, game traces, etc."